The latest news and information for parents: school events, volunteer opportunities, meetings to help you stay up-to-date and involved! 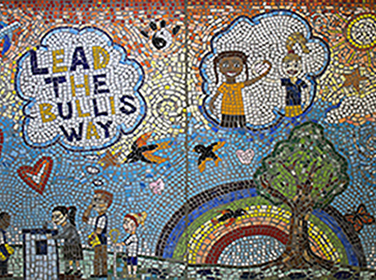 The Bullis community is welcoming, open and needs you! Find out all the ways you can get involved, no matter how much (or little) time you can spare. Through your daily shopping you can provide financial support to Bullis—without spending any more than you normally do. 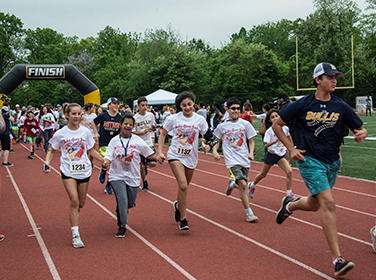 Each year more than 1,000 people attend, runners, walkers, kids and buddies alike to support KEEN Greater DC, Diener School, Special Olympics Montgomery County, Habitat for Humanity, and S.A.F.E. (A fund covering student activities and textbooks for Bullis students in need). The PA board meets seven times a year to discuss plans and activities for the year. You’re welcome to attend and learn more about your organization. 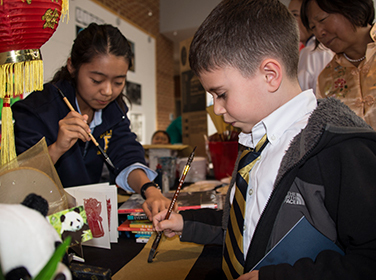 PA enrichment grants support faculty initiatives for creative class programming. Read more about the latest grants and how they’ve enhanced the student experience. The Parent Portal is the site for current parents to review report cards, get class lists and contact information, handle tuition payments and much more.